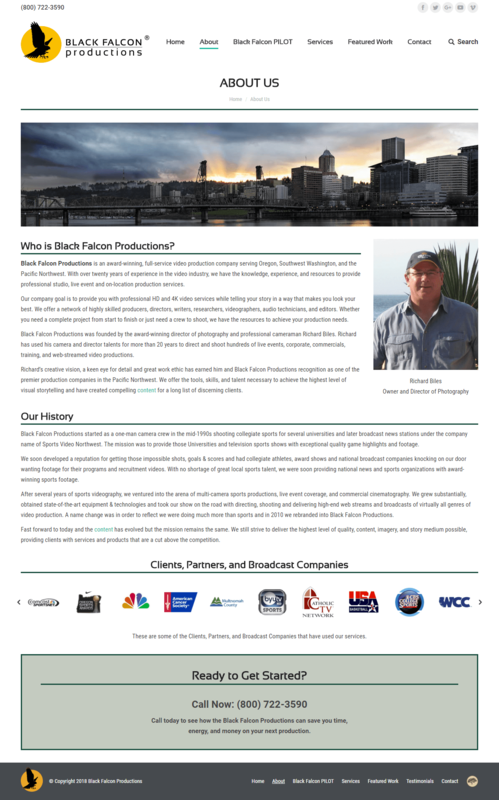 Black Falcon Productions is an award-winning, full-service video production company serving Oregon, Southwest Washington, and the Pacific Northwest. With over twenty years of experience in the video industry, we have the knowledge, experience, and resources to provide professional studio, live event and on-location production services. Our company goal is to provide you with professional HD and 4K video services while telling your story in a way that makes you look your best. We offer a network of highly skilled producers, directors, writers, researchers, videographers, audio technicians, and editors. Whether you need a complete project from start to finish or just need a crew to shoot, we have the resources to achieve your production needs. 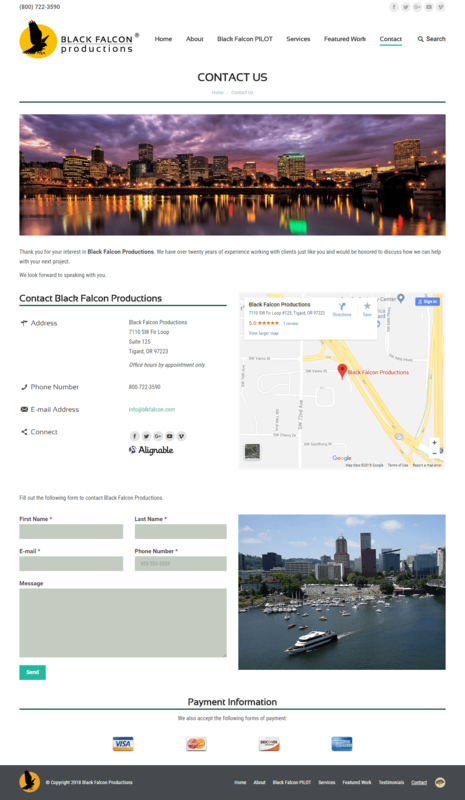 Problem: Black Falcon Productions needed a way to feature the work completed for their clients. Solution: Using The7 theme and the Portfolio custom post type, we created a featured portfolio page that links to individual portfolio items. Each portfolio item includes HTML5 video streamed from Vimeo.